Amidst the thundering undertones of one of the world’s busiest airports, Team Challenge company rolled into the Renaissance Heathrow Hotel for one of the hottest shows in town! Our Executive Quiz! 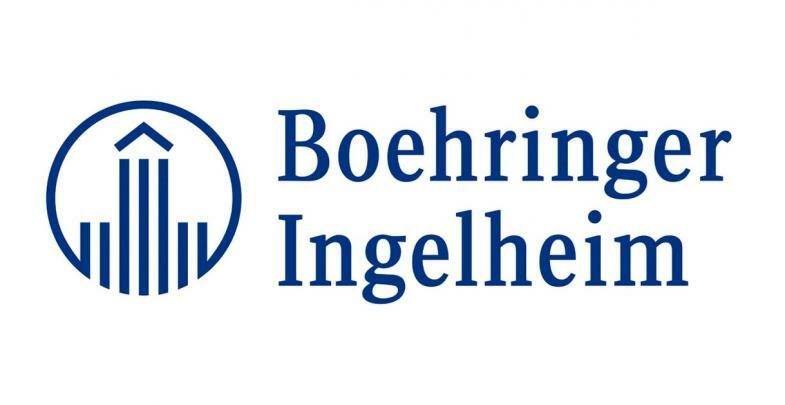 The 70 lucky patrons were from Boehringer Ingelheim, one of the world’s leading pharmaceutical companies. They would compete head to head through a number of rounds tackling the likes of name the tune, questions in sport and Guess who. Enough to wet the appetite of any quiz enthusiast. The prize on offer was of course the coveted Team Challenge Company winner’s trophy. The focal point of any true competitor’s mantle piece! Proceedings kicked off in true quiz fashion with the ever popular hit or miss round! With the best of UK number 1s coming thick and fast, our teams had to weed out the rogue tracks which didn't quite make it to the top! An all or nothing shot at posting an early points return. The unusual suspects had the most cataclysmic bad start it was painful to watch! The whole team opting for a hit when it should have been.... Yes a miss! Immediately they were decimated! Not a team member left in the game! The only way was up for them! After 14 songs we eventually crowned our winner. The first round certainly bringing out the competitive metal in everyone. After a sumptuous starter the teams settled in to draw first blood in our sit down round, Guess Who. After much discussion and deliberation between each team member, the answers were collected and marked. Some looked more confident than others and with good reason. The unusual suspects proved to be more like the usual suspects as they posted another dismal score! Early favourites for the dreaded wooden spoon award. The shy teds and duck off roared into an early lead with an unprecedented full marks round! Quite unbelievable as they sized each other up across the room, obviously knowing they would both be there or there about at the end of the night. Hot on their heels were the imperials and Knight riders who had a 90 percent round! Our very own Jason orange also won bonus points for his celebrity look a like status! It was uncanny! After a magnificent main course it was time for a question in sport. The teams abilities were divided on this as to their horror, there were no cricket questions! No one said it was going to be easy! Norfolk and shy teds rekindled their unbridled battle at the top, both neck and neck again after this round! Team Cupid were hot on the heels of the runaway pack as we broke for delicious dessert. Guess the landmark followed as the teams knew they couldn't afford to be caught napping after an exquisite meal. Towie Wowie certainly weren't sluggish as they posted an unbelievable score! The imperials also flexed their muscles with a good points haul after playing their double points mascot. And finally, better late than never, the unusual suspects kicked into life with an extremely impressive score on this round. May things finally be looking up for them? As the logo round caught out the majority of a baying Crowd, the eagle eyes belonged to the knight riders! Winning this one at a canter. Had they pushed themselves into contention from mid table mediocrity? Desperate times called for desperate measures when Towie Wowie even tried to bribe the quizmaster with luring of money and more! Not deterred by this, the value of the bribe increased in every subsequent round thereafter. But not on our watch I'm afraid! Integrity is our middle name! Name the movie quote was it's usual hilarious self as ET took the bonus points with a hilarious interpretation of speilbergs classic creation. Just pipping, Arnold Schwarzenegger and Harry Met Sally, at the post. Cars of fame was over in a flash as every team set their sights on a successful run in. The easiest round by far! The Cupid stunts tightening their grip on glory with another maximum! Norfolk, the imperials and shy teds were also dreaming of victory a after equally impressive rounds. It really was anyone's game as name the tune initiated a crowd explosion! Bonus dance points went to the Hoff! His snake hip moves wooing his raucous colleagues. With the cries of Hoff Hoff Hoff still ringing fresh in our ears the points were concluded! The last round saw a mammoth shift in the tide! The scores had been checked and verified! What a finale to an exciting night! The unusual suspects finished dead last! No shock there! Unlucky but they never really got going! In 7th were the floundering towie Wowie. In 6th were the hapless knight riders. In 5th were the slightly better duck off! A surprise there! Mid table were the imperials in 4th! A bad second half if the evening costing them dearly. In third were Norfolk! A steady game all night and just missing out on top of the pile! So it was down to this! The destiny of the trophy looked certain! The shy teds who were awesome all night walked away with......nothing! Just ten points the difference as the shy teds staged an amazing rally to be crowned tonight's champions. Congratulations to them! What a a last gasp gutter for the stunts! Wow! Utterly breathtaking. Another fantastic night at the renaissance! Thank you to Ore for all of his hard work in making this possible. What an amazing bunch of people! Hope everyone enjoyed it and there wasn't too many sore heads!